A woman who believed advertising that claimed cosmetic surgery would knock twenty years off the age of her face now faces losing her foreign husband. Mrs Raiwin (surname withheld) told the Thai media that she can't even look in a mirror anymore. "I have been with my foreign husband for 13 years," she said. "Now he wants to leave me". 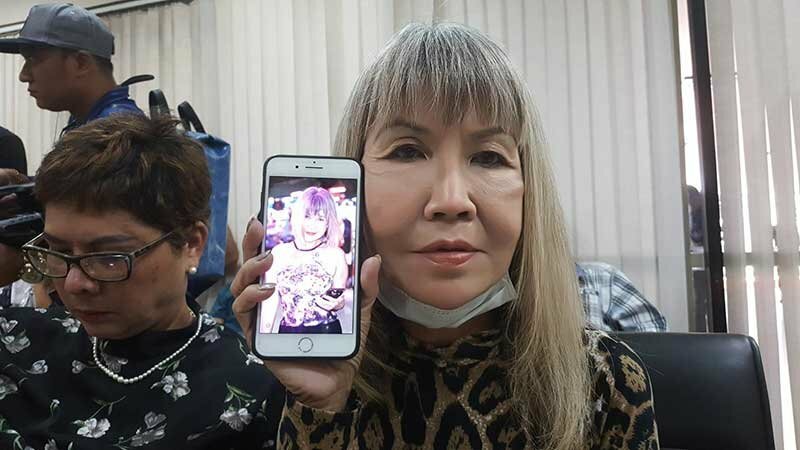 She said her 680,000 baht three stage surgery at the "Face Off" project was a disaster. Now she and others have gone to immigration chief Big Joke for justice. The ad said she would look between 10 and twenty years younger. She had a face lift, nose job and silicone from a previous surgery removed. Now three months later she admits she is an old hag and can no longer face herself in a mirror. They went to Lt-Gen Surachate "Big Joke" Hakparn in his capacity as a member of the tech police for justice. 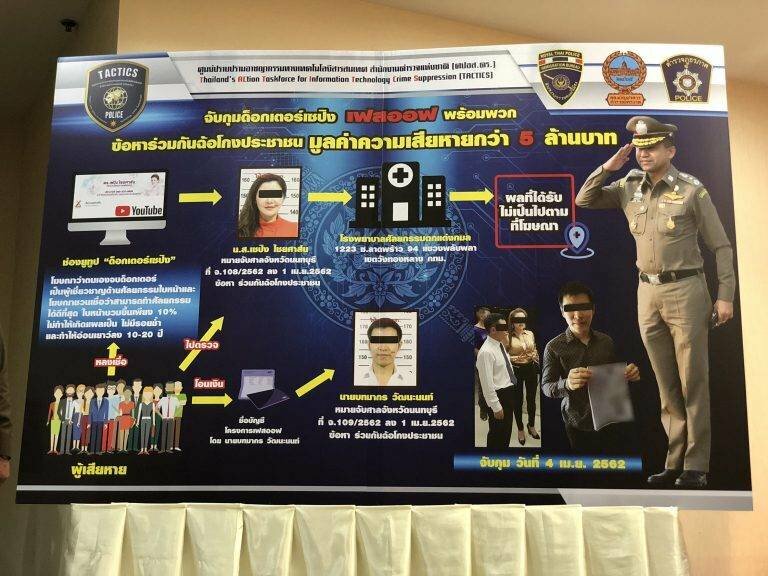 Arrested at a Nonthaburi address yesterday on warrants were female doctor Dr Seping Chaisan and her finance man Botmakorn. Big Joke said that both deny charges of fraud but the evidence is clear. More work is needed in gathering witness statements from nurses, doctors and others involved before the case will go to trial, he said. Another victim Pornthip - a name shared by a former Thai Miss Universe winner - admitted that she was old and wrinkled but wanted to look young again. Now after surgery her face is much worse than before - it is scarred, puffy and out of proportion...not a bit like what was promised in the advertisement. Sounds like you're not the smartest and he's not the classiest. Anyway, maybe Big Joke will have a word with him and convince him to stay with you. There's nothing Big Joke can't do. looks like every Farang woman in Los Angeles. which is why I came to Thailand. you can run but you can not hide. anyways, late last year, her elder 64 yrs sister comes bouncing into the room. She goes "how do I look?" I was supposed to say "you look younger"
So this part is so important that is put in the headline?" My foreign husband wants to dump me"
Its amazing what kind of crap news is allowed to write as long its attacking foreigners. Racist BS again, the article is about fraud, etc, what heck has the foreign husband to do with this? Hardly false advertising but poor skills of the doctor. I will concur with that, and Farang husband also does not believe in the saying "Beauty is only skin deep"
This is comical. Some older people--especially women--just can't handle being old. They want to be a young hottie again because everybody loves young hotties. Problem is, you can't. How the heck can you read this article and conclude it's "attacking foreigners" or racist? From that one sentence? You are seriously paranoid. wow - given this site is predominantly populated by aged, xenophobic foreigners racially slating thais on a daily, sorry hourly, basis, you've got some front ! HER 680,000 ? more like his 680k..lol.